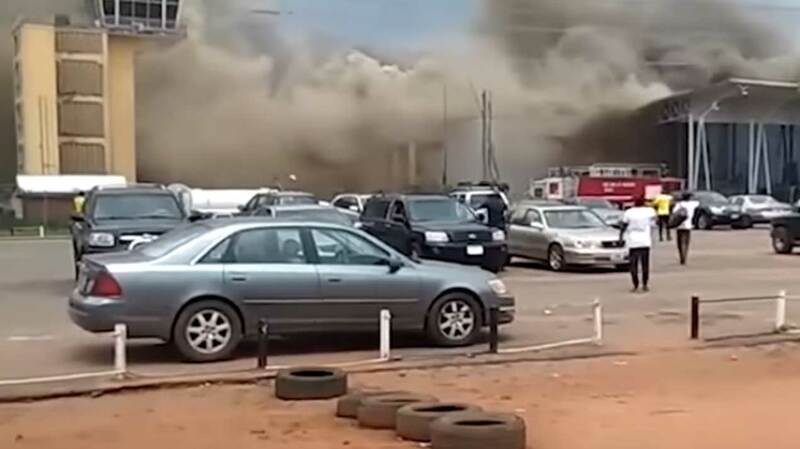 A section of the Sam Mbakwe International Cargo Airport, Owerri, Imo State, was yesterday razed by fire, forcing passengers to flee for safety.The cause of the inferno, which lasted for over 30 minutes, was not immediately ascertained, but The Guardian learnt that the fire started around 2:00 p.m. at the arrival section of the airport, which was under renovation. Efforts to get the management of the airport to speak on the incident did not yield result. One of the senior members of staff, who spoke on condition of anonymity, however said the authority would issue an official statement soon.He expressed regret over the outbreak. He assured that effort was already in place to ascertain the remote cause and forestall future occurrence.